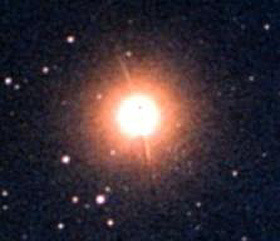 Arcturus is the brightest, or alpha-star in the Bootes Constellation, and is seen as a golden yellow or orange star. It lies at a distance of approximately 34 light years, and is one of the three brightest visible stars. Edgar Cayce called Arcturus the most advanced civilization in the Universe, the civilization that is most God-like. Arcturus is the home of higher dimensional entities, who are dedicated to service and healing. They specialize in emotional and spiritual healing, and have mastered techniques, far beyond what we can imagine. This emotional and spiritual healing is the reason why a lot of psycho-spiritual healers have a special connection with Arcturus. The Arcturians work together with the Sirians. Together they have established, what could be called, 'the Arcturian/Sirian matrix' or network.One source mentions they supposedly have some bases on the moon. Arcturus also is "an energy gateway through which humans pass during death and birth. It functions as a way station for non-physical consciousness to become accustomed to physicality." (Lyssa Royal & Keith Priest, The Prism of Lyra). Arcturians are very angelic in nature. In fact, a lot of encounters with Angels, actually are encounters with Arcturians. See also EL for information on hybrid Arcturian ELs. Note that the Branton Material claims that the Arcturian solar system is also inhabited by a third dimensional humanoid civilisation. These would have been contacted by the Draconian Empire with a plea to join them. The material however contradicts itself with regard to the question whether they actually did join, or chose for an independent position (not tied to the Draconian Empire, nor to the Federation of Planets).